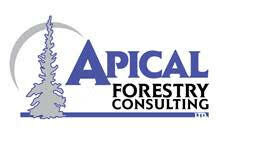 Home Companies Apical Forestry Consulting Ltd. This is a call out to those EXPERIENCED forestry workers/treeplanters that have had enough of layout/planting for the year, but want to make a few more months of production based work. Basically doing regeneration surveys from late august into November when the snow hopefully holds off. The work entails a lot of walking, working a garmin gps, and the ability to drive an ATV and truck. Also identifying and measuring the 9 basic tree species in Alberta. Extensive training will be done for that. The job will start as readily possible. On the job training will be available to ensure competence before any job is started. Good physical condition is necessary as considerable walking will be required. The worker will basically be working all over the province for almost every mill in the province. Some senior field staff positions with opportunity to advance are also available. The job will involve some camp life and outdoor living skills, therefore excellent communication and inter personal skills will be an important part of the successful applicants attributes. Compliance with our safety program is mandatory. Working alone will be required. Again only “experienced” field workers need apply. The successful applicant will have all his/her own basic forestry equipment such as vest, boots, compass, rain gear and sleeping bag. While in the field camps, domestic duties such as cooking, washing dishes, are shared by all and considered part of the working day. We work on rainy and snow days. Apical provides accommodations in crew houses, when working in town and for days off. No dogs allowed on the job site or at crewhouses/hotels. While at crew houses people are expected to do their own cleaning. There are no camp fees, almost all jobs will be done from hotels, trailers or bush or oil camps. Wages are based on a production basis just like planting. The average minimum production target is 240$ to $300 a day. Starting wages of any hourly work is based on experience and skills. Although a normal day will be considered as 10 hours, it should be clear that in some cases more hours per day will be required. Length of shifts will depend on logistics and client needs, but 10 on and 4 off is the objective. On more local projects to the employee’s home 5 and 2 can be arranged in some cases.